JOY OF LIVING/CHE GIOIA VIVERE (1961) is an oddity in the René Clément canon — a comedy, a genre he rarely dabbled in, apart from his early short with Jacques Tati, SOIGNE TON GAUCHE and an early feature with Noel-Noel, LE PERE TRANQUILLE — an Italian film, though Clement was open to co-productions throughout his career, shooting THE WALLS OF MALAPAGA/BEYOND THE GATES in Italy in 1949 and THIS ANGRY AGE in Thailand (and Cinecitta) in 1957 — a period movie that’s NOT set during the French occupation, but just after WWI in Rome. Alain Delon, the director’s most frequent leading man, plays Ulysse, a glib and plausible young man who accepts a job from the fascists, searching for a printing press that’s been churning out anarchist leaflets. But when he finds the place, he falls in lust with the daughter of the lead anarchist, played by the extraordinary-looking German actress Barbara Lass, whose eyes are bigger than Barbara Steele’s, wider apart that Gene Tierney’s, and seem constantly on the verge of breaking loose from her head altogether to pursue independent destinies. She’s an actual flesh-and-blood Margaret Keane painting, and she somehow makes it work. Maybe because she projects a human sweetness, which tames the uncanny Na’avi qualities of her funhouse countenance. 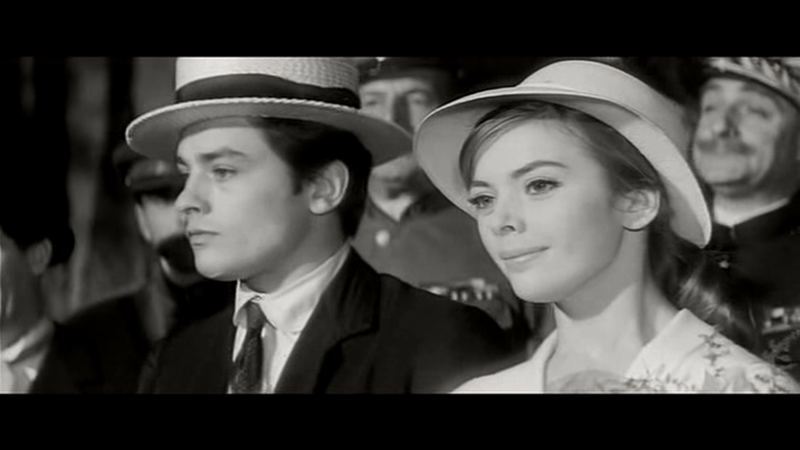 At any rate, when she and Delon are on the screen together, in Henri Decae’s exquisite framings (they needed a wide screen for those eyes), there’s almost too much beauty to take in. Food fight! from David Cairns on Vimeo. 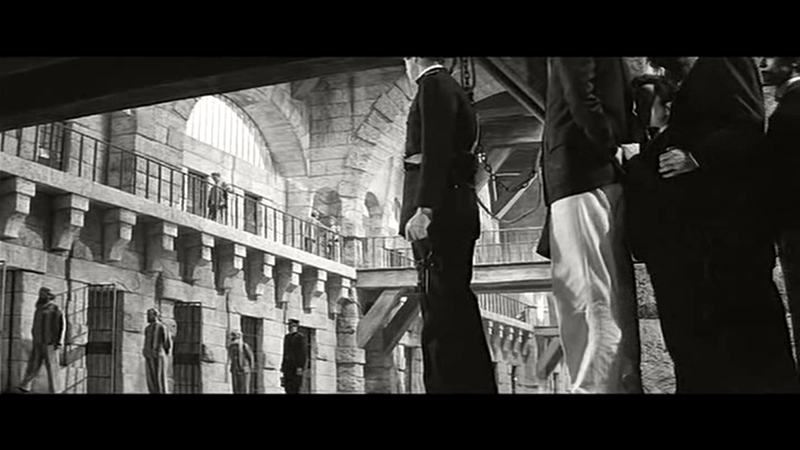 The period setting and frankly astonishing scale of the enterprise (Clement’s two Oscar wins obviously equipped him to command considerable resources — he blows up the Arch of Constantine!) 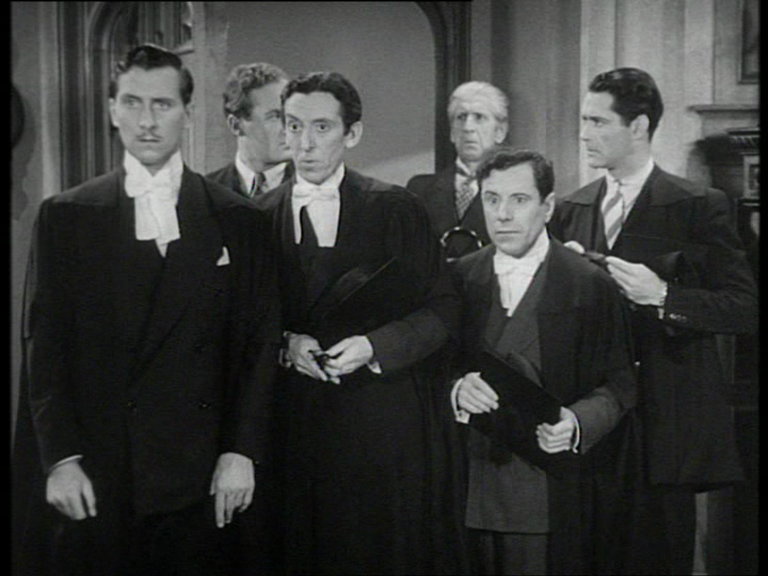 connect this movie with romps like THOSE MAGNIFICENT MEN IN THEIR FLYING MACHINES and THE GREAT RACE, but it’s more controlled than those, even if it doesn’t have a linear chase plot to focus it. And, oddly, Clement proves better at organizing visual gags than his colleagues — a food-fight between anarchists and fascists is particularly impressive. And there’s just enough seriousness underlying the hi-jinks — Delon’s character is sufficiently deceitful that we worry he might go blackshirt at any moment if a pretty enough girl shows up on the other side — the dark days ahead for Italy hover low on the distant horizon — the film’s affection for the family of anarchists, partly justified by their being so irrelevant to the match of history, is somehow reconciled with a horror of bomb-throwing and acts of terror. 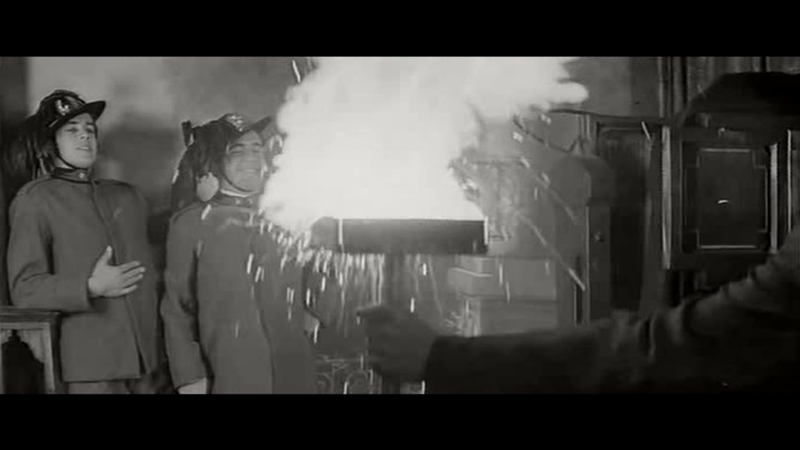 The genuinely gripping climax has fascist stooges planting bombs around a huge public exposition (with balloon ascensions, roads paved with German helmets, and the first pre-fab house as part of the attractions) while Delon scoots around after them, gathering up the infernal devices in a perambulator. A man pushing a pram is slightly comic, a stunningly handsome man pushing a pram while in fear of being imminently smithereened is really very funny indeed. 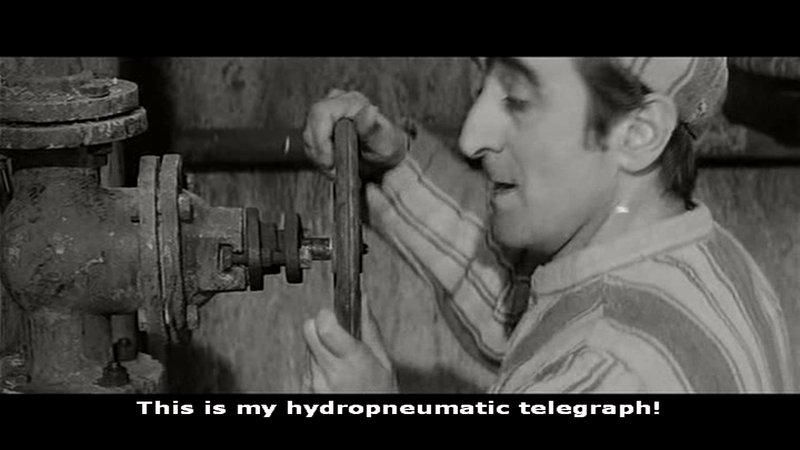 A piece of espionage worthy of Pynchon — illicit communication lines in prison, running through the plumbing system! We first meet Gabin hiding out shipboard in that little metal room where they keep the anchor chain. 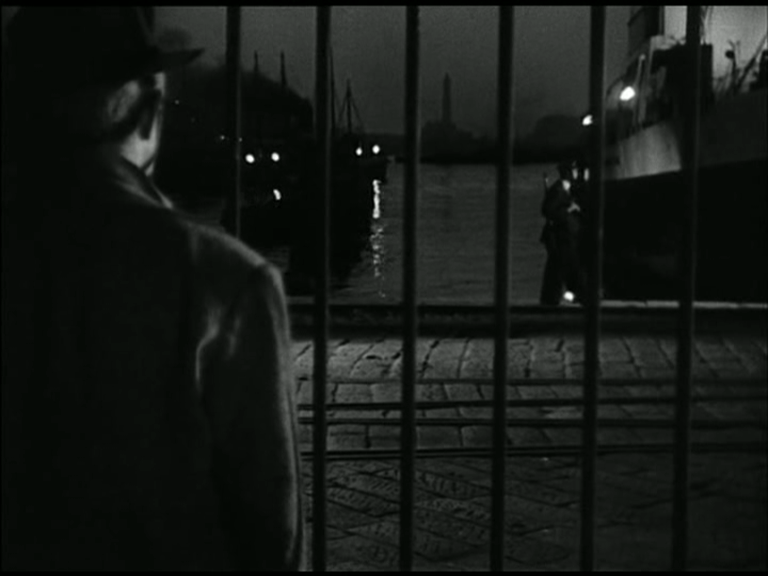 Like where that sailor dies in Lewton’s THE GHOST SHIP. He’s been there in the dark for three days with a toothache, as wince-inducing an analog for hell as I can imagine. So as he determines to risk his neck by going ashore in search of a dentist, I was more than usually inclined to sympathise. Oh yes, we’re also in QUAI DES BRUMES territory — it’s a great plot engine, the character who has to get out of town in a hurry, and finds a way to do so, but simultaneously makes an emotional connection which prevents him. 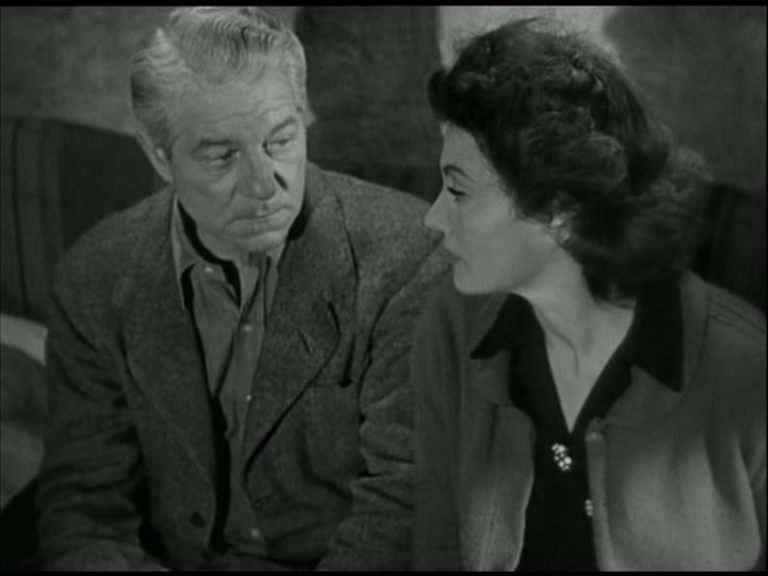 Although the love story, featuring Isa Miranda (from Ophuls’ LA SIGNORA DI TUTTI) as the waitress with a young daughter (the affecting Vera Talchi: Clement was always good with kids) is quite touching, the fatalism seems more a genre requirement than something Clement is enthusiastic about, and it makes things fizzle where they could have sparkled. But the other strength the film has its environment. 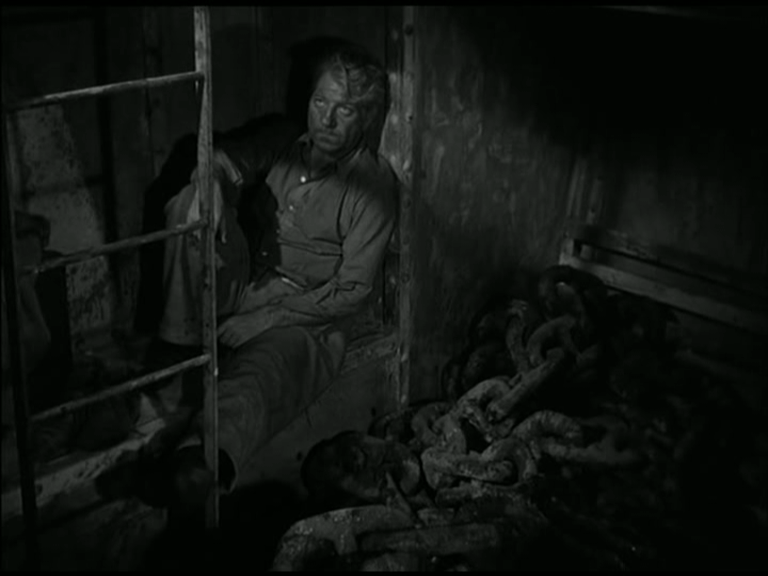 Gabin in his steel shoebox full of massive chain-links at the start cued me to expect another film about metal, like BATAILLE DU RAIL, but this is actually a film about walls (like SATYRICON), variously crumbling, towering and teetering. Smashed statuary and worn steps. Genoa, as shown here, resembles both Piranesi’s infinite prisons and Chirico’s depopulated, abstract urban expanses, frightening and colossal and ancient, perpetually collapsing into rubble yet seemingly determined to stand forever in defiance of time. A bit like Gabin’s craggy features, no longer conducive to the romantic Hollywood lighting of PEPE LE MOKO (a slash of luminescence across the glittering eyes), already rapidly assuming the quilted hangdog folds of the later years, or decades even. 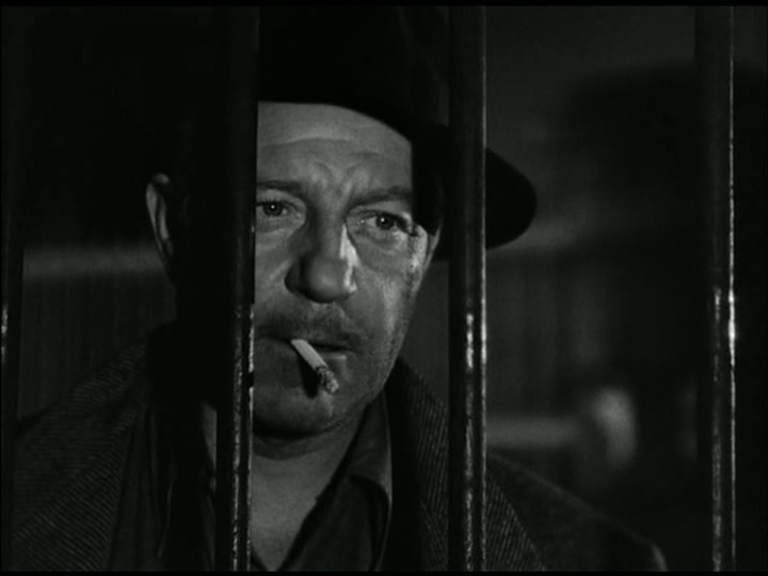 Maybe the fatalism sits less well here since the aged Gabin always suggested a stubborn hostility to the idea of succumbing to time’s bludgeoning blows. Battered, even bowed, but still trudging onwards.